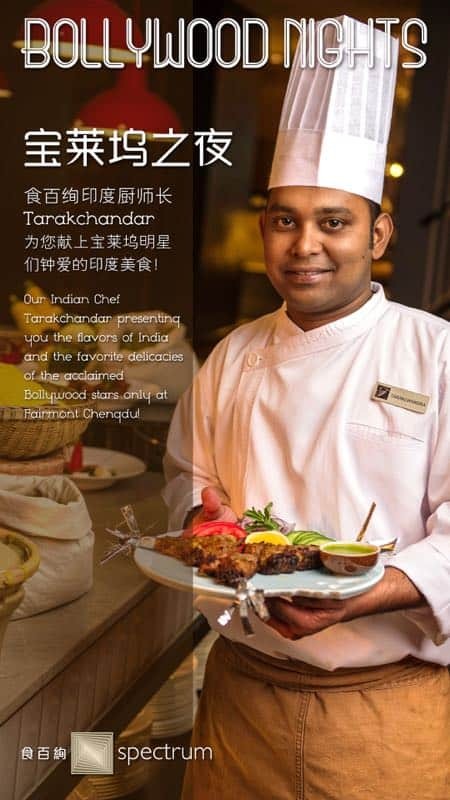 Tarakchandar, an Indian chef from Spectrum, Fairmont has combined some of the most memorable scenes in the movie with Indian dishes. 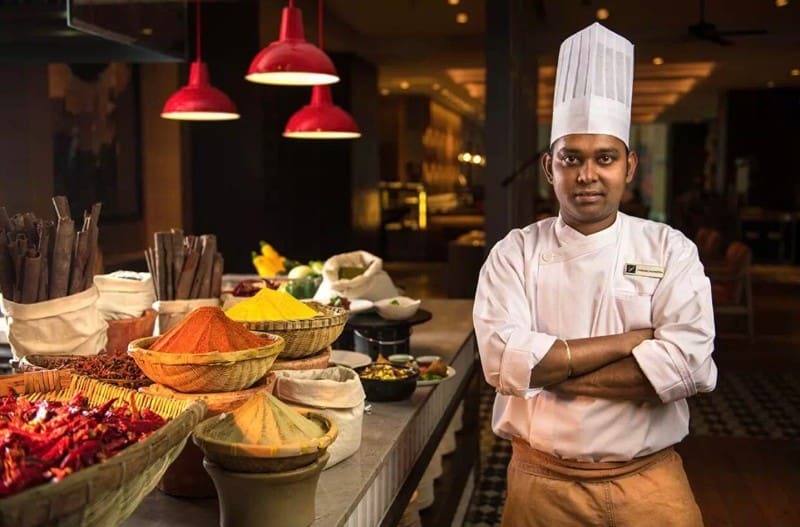 In this “Bollywood Nights” Indian food festival, you could expect more than just the curry food that we are normally familiar with, there are chef’s speciality dishes, such as Pahari grilled fish, braised mutton, Indian grilled chicken, handmade Indian dumplings……Although we can’t be Bollywood stars, it’s always good to eat good food. 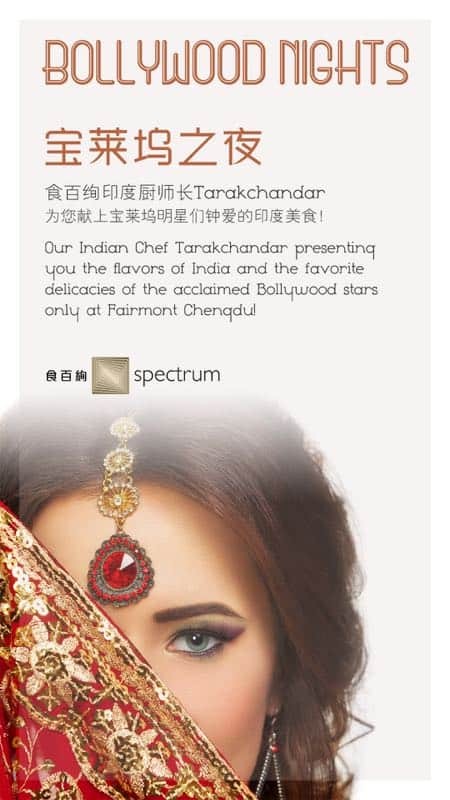 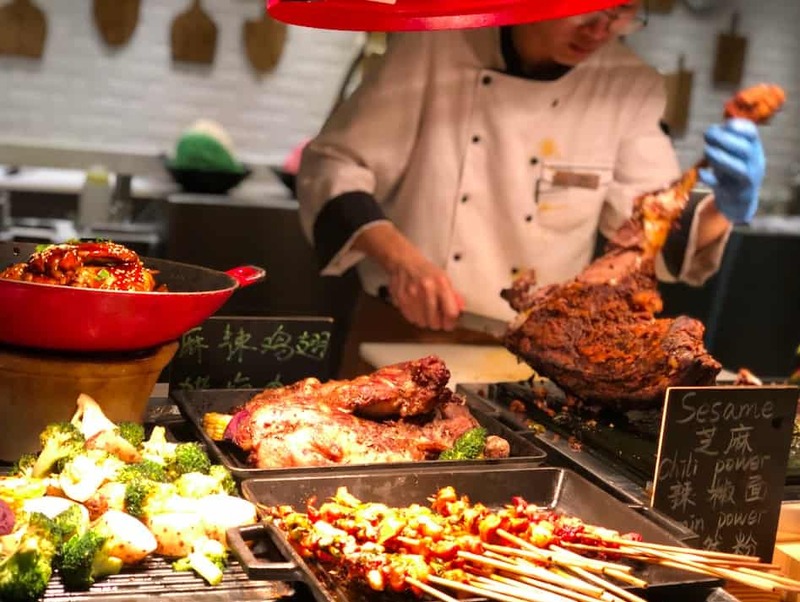 Spectrum @ Fairmont Chengdu’s Indian Chef Tarakchandar presenting the flavor of India.